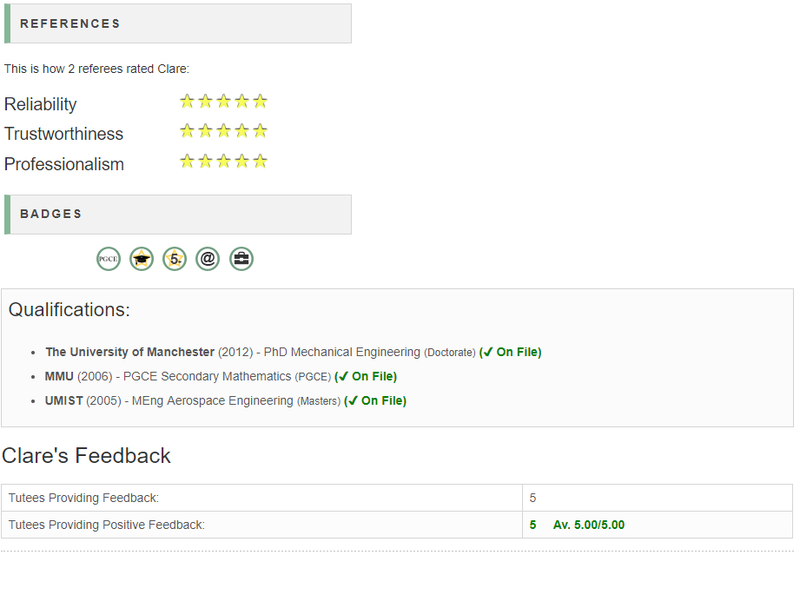 I'm feeling very pleased with my ratings on First Tutors so far. 5/5 based on 5 ratings! . Plus top ratings from my referees and some nice badges. If you feel safer finding a tutor via a site that has been recommended by The Good Schools Guide, you can find me there. The disadvantage is they ask for a one-off fee to get my details but here you can have my details for free. A least you have the reassurance that I'm a highly rated tutor on there!